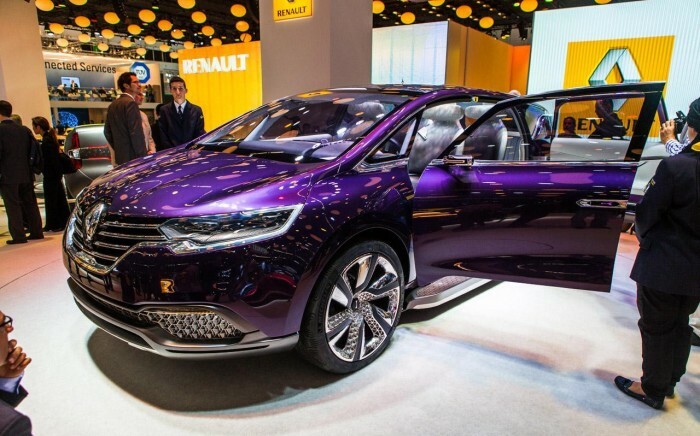 Presentations then from the Frankfurt where Renault has presented the Initiale Paris Concept , which is largely preview for the replacement of the Espace . 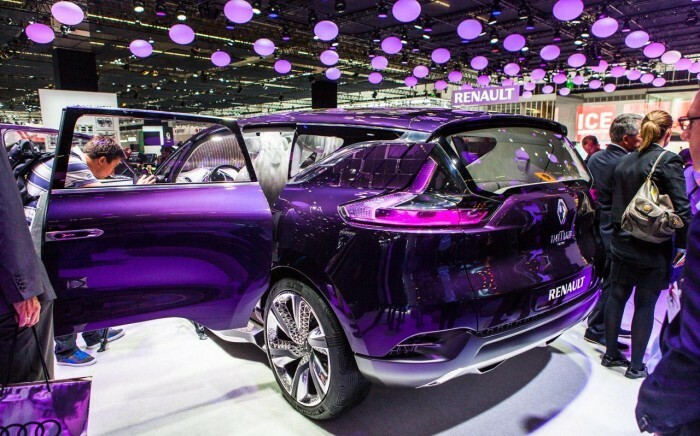 Appearance, it is definitely much more attractive than the outgoing Espace. The Initiale Paris Concept is quite lowered roofline and rests on huge 22-inch wheels, a feature that is probably reasonable to assume that there will be going into production ... It measures 4.85 meters in length and in the form it currently stands, can accommodate 4 people in comfort, which will also change up to go into production. A device 5 +2 is the most likely solution. It features full LED lighting and LED daytime running lights and the rear, the lights are positioned both in horizontal and vertical "axis." 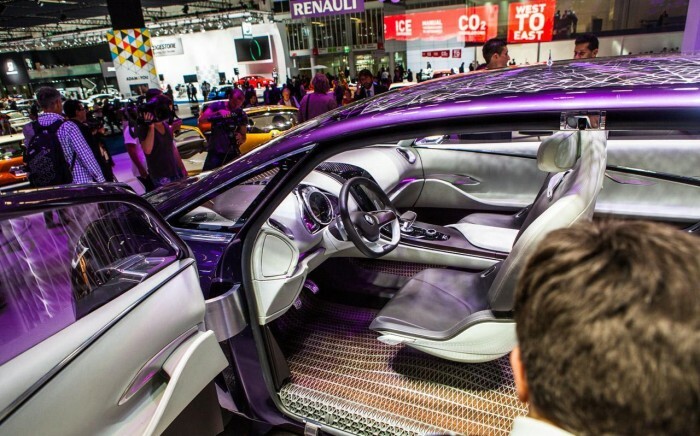 Striking is the fact that while has approximately the same dimensions as the Espace, the Initiale Paris is 250 pounds lighter than this because of the new modular platform CMF concept is of course so you have to wait before we start celebrating. Opening the doors, the interior is extremely bright and the Bose audio system with 32 (!) Speakers and 2 (!!!) Subwoofers steals the show. The console houses two screens showing information and videos POI while the floor is a mix of wood and aluminum. The third row of the passenger compartment is simply a bench formed by independently moving pieces. Under the hood of Initiale Paris is a "reasonable» dCi 130 diesel engine with torque of 400Nm. The Renault says this engine is 25% more economical compared to another similar performance diesel 40gr/km while emitting less CO2. The engine has a small turbo that helps when the needle is low in the rev counter and a second turbo is activated at higher speeds. All combined with a six-speed EDC automatic transmission with shift-by-wire control technology borrowed from the world of Formula 1.